As the evenings winds down our new traditions begin. As of recently with our move to Maryland we began a traditions with our daughters, in hopes that it would not only bring us closer as a family but also help our oldest with the transition. The new room, the new surroundings and the new bed time. A cup of milk and snack before bed, which Isabella has become obsessed with Pirates booty popcorn. A very healthy snack that was introduced to us by my step-mother. Every night, every morning… All day, everyday Isabella is asking for “popcorn”! As she and my sisters watch Mickey Mouse Clubhouse or another Disney favorites they begin to wind down; we only hope. 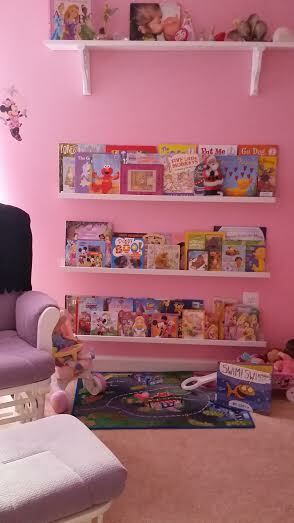 Then its straight up to bed for story time for Isabella and Elleanna with mommy and daddy. Isabella hasn’t had the easiest time with the move during bed time, previously when we lived in Florida either when we were living with Nana or when we weren’t Isabella became used to Nana being around. 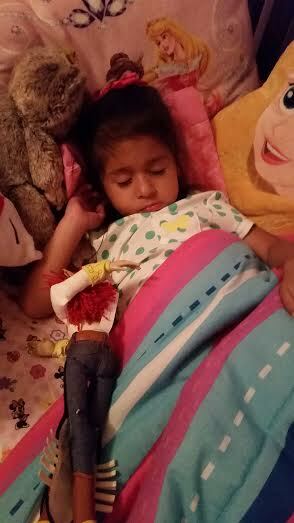 Her goodnight kiss and her rescuer from daddy and I during bed time; whether it was a phone call to Nana or a video call. Our new tradition has become my favorite part of bed time, a stabilizer for our entire family; a moment we all can relax, breath in and have a few laughs together. The yawns begin as I speak the first words of the book to Isabella, her favorites like Frozen and Toy Story, I find myself smiling ear to ear. As I watch her sister play on the floor or in daddy’s arms I get deeper and deeper into the book. “To Infinity and Beyond!” I start saying loudly in my best Buzz Lighter voice; I need some practice I must add. 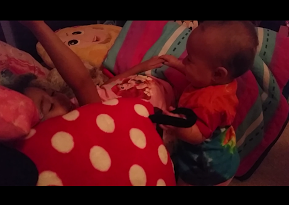 I watch as my youngest crawls to her sisters bed and pulls herself up, which at eight and a half months old I’m still amazed in how much she has grow just in the month of moving from Florida to Maryland. The girls giggle as Isabella does a “choo-choo” sound and I find myself taking a break in the book. The pure joy and love in my girls faces as they play with one another just warms my heart, a feeling I never truly knew until I was a mother. As we settle the girls down after taking a photo and video of their happiness I begin the book once again while nursing my youngest. Isabella begins to fall fast asleep as I end the second book, as sissy giggles while mommy and daddy try to tip-toe out of the room Isabella’s eyes open half way.. “Mommy, door open please.”.. Everyday I’m excited for bed time and not because the girls go to sleep, that is far from the case especially because I’m co-sleeping with Elleanna. The truth is having a moment that we sit down as a family, we read and laugh and watch as the girls interact together. The love I see is the joy that helps end the day, whether its been a busy day, rough day or a happy day I find myself in these moments, like meditation I become refreshed once again. 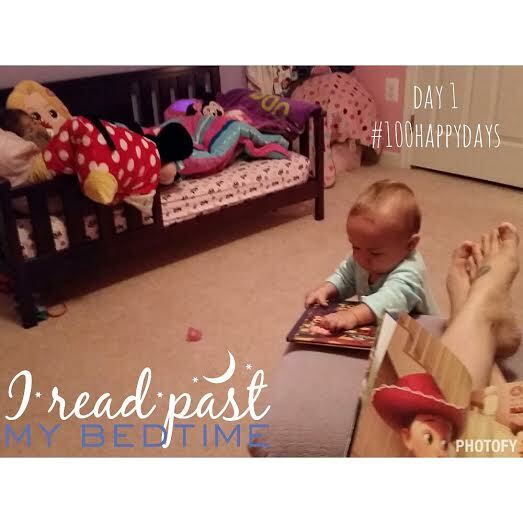 What are some of your family bedtime traditions? Next Post Making a family memory. I love that you buys have stuck to this. It really makes life much happier for everyone when there are routines involved!